2012 was a fruitful year for the ENHCC. We enjoyed a well organized and good consultation in The Netherlands. 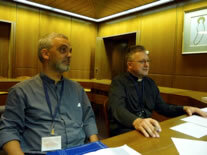 Chaplains from more than 24 countries met, discussed, shared, worked and relaxed together. We delivered a statement on interdisciplinary work that has already born fruit in several countries. A new committee was elected and the location for the next consultation decided. In 2013 the committee will prepare the next consultation and we will continue to advocate and network for chaplaincy in Europe. We look forward to expanding the Network with new members and to continue the sharing of chaplaincy experiences, challenges and achievements. Last week I was in New York and the Jewish community was in full celebration of the beautiful feast of Hanukah. 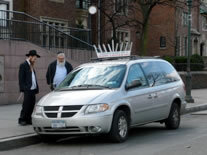 There were even cars driving around with a Menorah on top of their roof! At the same time all the Christian communities were preparing for the feast of Christmas. A lot of shops and museums had both: a Menorah and a Christmas tree or a nativity scene! 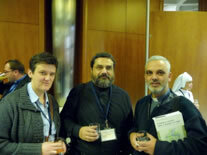 Diversity and multiculturalism affects chaplaincy in many ways. And in all our diversity, there is may be one belief that we share: the belief in angels. Angels play a guiding, announcing, protecting and joyful part in the Jewish, Christian and Muslim traditions. And outside those traditions, a lot of people do belief in fellow humans who are like angels to other people. So, as major feasts are celebrated and as we go into a new year, I take the opportunity to send you an angel. 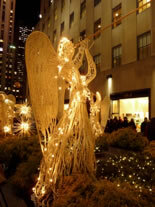 An angel to inspire, protect and guide you in the New Year! May it be a good, blessed, happy and joyful one! And out of my tradition: Zalige kerstmis! (Merry Christmas!). May we gratefully celebrate God’s living among us! http://www.snap.ee/user/NaatanH/album/mennorode_2012 and the folder is "mennorode 2012", pasword "2012"
The next consultation will be in 2014 in Salzburg, Austria. The consultation will probably start on the 28th of May 2014 and end on the 1st of June 2014. 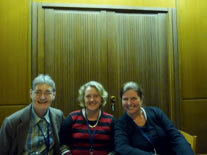 The committee of ENHCC will gather in June 2013 to decide on the topic of the consultation. Please feel free to pass on great ideas! From November 15th till November 17th some members of ENHCC participated in the conference of the Pontifical Council in the Vatican in Rome. We were delighted by the hospitality of father Dariusz Giers and the opportunity to network with a great deal of resourceful people. 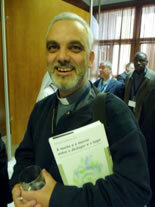 Father Nuno Ferreira da Silva, representative of Portugal, finished and defended his PhD. We send him our congratulations! Father Nuno tackled the topic of dying in the hospital from an anthropological and ethical perspective. You can read the abstract of his work on the website in English and Portuguese. Marianne van der Wal, representative of The Netherlands, celebrated her retirement with a symposium, held in her hospital. Instead of presents, she asked people to donate money for the children’s hospital in Hungary where our representative Edina Farkas lives. Edina visited Marianne in her children’s hospital. Great things happen out of the network! 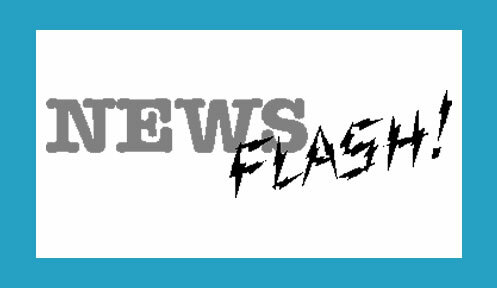 Do you have news to share? Contact us!